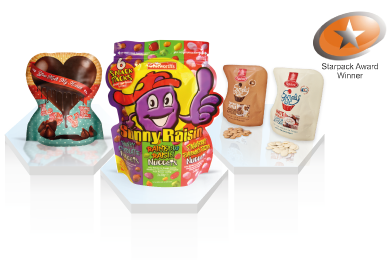 Shaped Pouches - Clifton Packaging - flexible packaging films, flexible packaging pouches. Manufacture of flexible packaging. Shaped pouches can give your product a unique selling point, allowing it to really stand out on the shelf. Bespoke shapes can be created to suit a multitude of different pouch shapes and sizes.